The Dirty Crew: The Planning Has Begun. 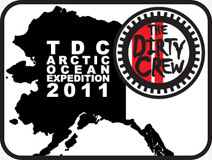 TDC 2011 TT. Ferry from Bellingham WA to Haines AK, then ride. I might have to hit this in the spring. What was the name of that Mexican joint?